On behalf of the staff of MFEA-The Malinowski Forum for Ethnography and Anthropology project, we honour the memory of Helena Wayne, née Malinowska, who recently died in Brighton, England, at the age of 92. 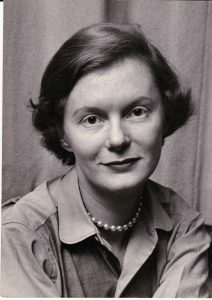 Helena Malinowska was the third, and last surviving, daughter of the Polish social anthropologist Bronislaw Malinowski and his wife, the Australian journalist Elsie Masson. She was born in Bolzano-Bozen in 1925. Her work and research deeply inspired the MFEA project, prompting us to investigate the life and work not only of Bronislaw Malinowski but also of Elsie Masson, and their strong connection to South Tyrol. Bronislaw Malinowski (1884-1942) was a founding figure of modern social-cultural anthro­pology. His name is pre­dominantly associated with the scientific formulation of ethnography as a research method, an innovation that changed the face of research in the social sciences and continues to have ramifications today. 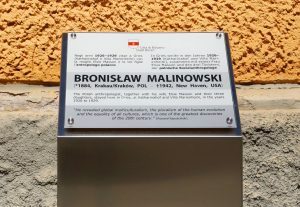 Qualitative social scientists around the globe refer to this paradigm, but even many anthropologists are unaware of the special relationship that Malinowski had to South Tyrol: his family lived from 1922 to 1934 in Bozen-Bolzano and Oberbozen, and his grandchildren continue to spend time in this home to this day. Additionally, much remains to be learned about his wife, Elsie Masson, who remained in South Tyrol while her husband was away for teaching and research activities: she was an active observer of South Tyrolean society under Fascism and collaborated with her husband on his publications. In recent years, a Provincial cultural commission established a historical marker at the Oberbozen villa. On 23 January, 2017, the Mayor of Bolzano unveiled a plaque in piazza Gries, in memory of the sites where the family lived in the city. 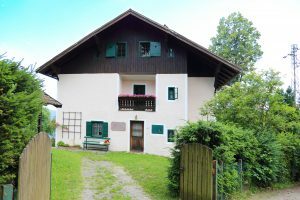 The MFEA preoject aims to study the works and lives of Bronislaw Malinowski and Elsie Masson, focusing on their presence in South Tyrol. The research project will investigate the many issues of the Malinowski-Masson collaboration and the role of the thier private social network, which includes students and academics but also relatives and friends, in the rise of collective ideas and shared life styles that contributed to the development of science, ethnography and anthropology. (For more information go to the page Project). The MFEA project makes available different resources about Malinowski, linking to the main archives and collections that provide manuscripts, papers, photos, letters and the objects that Malinowski brought with him from the Trobriand Islands . It also offers a wide bibliographical list of both the Malinowskis’ works, such as monographs, articles, book reviews and introductions to students' books, and works about Bronislaw Malinowski, Elsie Masson, the Trobriand Islands, the Malinowskian legacy in ethnography and history of anthropology. Some materials are available online as open access. Other materials are only accessible via the catalogue of the University Library of Bozen-Bolzano or those of other accredited universities. The bibliographical list will be periodically updated. Shared resources also entail links to the webpages of institutes and associations that promote public lectures, awards and conferences dedicated to the legacy of Bronislaw Malinowski. Finally they include videos about Malinowski, such as documentary trailers from youtube, realised by the RAI-Royal Anthropological Institute, by the BBC and by Zachary Stuart, Malinowski's great grandson.